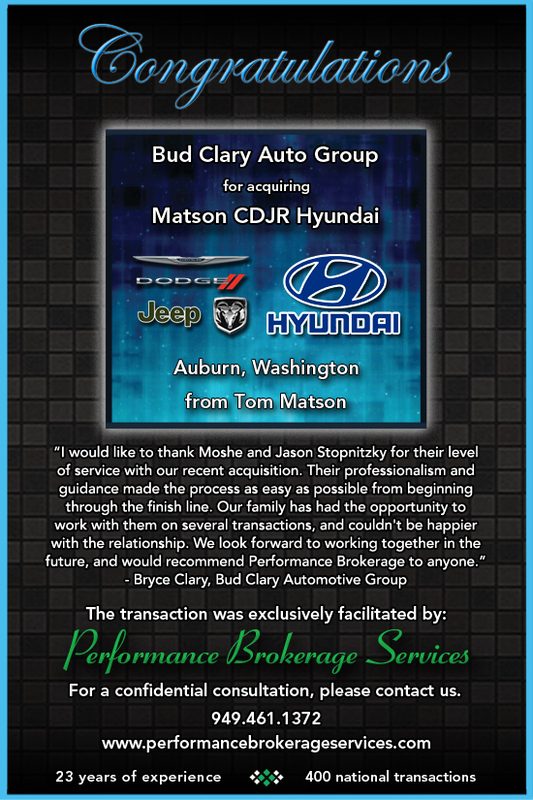 Mr. Tom Matson sells his Chrysler Dodge Jeep Ram and Hyundai dealerships in Auburn, Washington to the Bud Clary Auto Group. Congratulations to the Clary family on their recent purchase. We thank Mr. Matson for his business and wish the Clary family continued success.